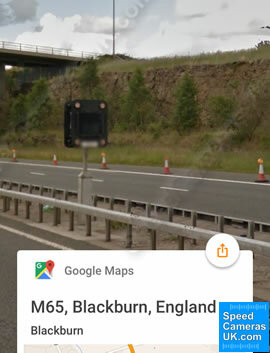 ‣I've been sent a fine sating that I did 52mph on the M62. The paperwork states it was a 40mph speed limit. All the way along the M62 it was 50mph, not once did I see a 40mph limit sign not even over the smart motorway. How can I prove this please? ‣I was travelling along the A140 yesterday, there was a marked police car with a passenger with a camera. Can the camera pick up if I was wearing a seatbelt or not? ‣I was travelling through a thirty mile an hour speed limit at twenty mile an hour knowing a camera was there. In the opposite direction a car was speeding which set off the flash. Would the lines prove my low speed? ‣I have recently received a notice to say I was speeding on A259 Belle Hill junction with London Road, Bexhill. Could you please tell me when a speed camera was installed? ‣I'm considering buying some reflective spray to obscure my number plate when a speed camera flashes. From my investigation the reflective spray could obscure my number plate at night, but what happens during the day? Do fixed and mobile cameras use a flash during the day? I heard they might us an IR flash, would the spray work? Is it legal? ‣Is this real? A camera mounted on the roof of speed enforcement van recording/taking pictures while driving up and down the motorway which also works in both directions and catches anyone flashing head lights! ‣Can you please tell me how I can find out about how many offences and fines a specific fixed camera has made? ‣Does the camera flash if you have been speeding? ‣I was just curious about the different types of speed cameras and what their ranges are in terms of distance. So like how far do you have to be from the camera to detect your car. With the cameras with white lines painted, is it where the white lines start? ‣Is it illegal to warn other drivers of speed camera vans ie flashing lights etc? ‣I passed one static camera on the left side of the road. 100yards up the road was a static camera on the right side of the road. Then 50yards passed that camera was a mobile camera. Is there anything legal that says about distance between cameras? ‣I have been caught doing 37mph where a 40mph changes to 30mph what is the rule about this I believe the van is pointed exactly where the speed changes... it's Lower Weare in Axbridge Somerset if that helps... it's the third time I've been caught in the same place doing the same speed short of slamming on to get from 40mph to 30mph this is the normal slowing process. ‣What cameras will detect you using a mobile phone? ‣I have received a letter saying I was doing 38mph in a 30mph, the camera is a new infrared type. I was apparently caught from behind even though it looks front facing only? It is about 50ft from the junction I turned out of and I find it impossible to believe my speed could of got to 38mph in such a short distance! What are the chances the camera is defective and didn't record this properly? ‣Yesterday I was driving along and picked up my ecig (which is rather large and phone shaped) whilst driving past a video recording speed camera van. Is the quality of the video high enough for them to recognise what I picked up? Or will they presume it's my phone as it has a screen that lights up and give me points and a fine? ‣I have a technical question regarding speed cameras. How does the local constabulary get the data (the photos, information) regarding persons who have been caught speeding by the cameras? Is it transmitted to them in some way (Wi-Fi perhaps) or does someone have to come and download said data from the devices and then take it away for download? Also, what is the average range that the speed cameras work on? ‣I was travelling along a 30mph road and was under the speed limit but an oncoming vehicle set a speed camera off on my side of the road. If a vehicle triggers the camera off on my side of the road will I automatically get fined? ‣Can a speed camera detect whether you are using a mobile phone whilst on the road? ‣Do you get 3 points if you set a speed camera off? ‣I am keen to see speed cameras in as many towns and villages as possible. When are developments in the technology likely to permit small cameras on lamp posts at a very low cost? ‣Could you please explain to me where can I find what two speed cameras have taken in money from motorists passing through my old village? ‣Someone set a speed camera off on my side off the road when I was going under the speed limit, will I get a fine for this? 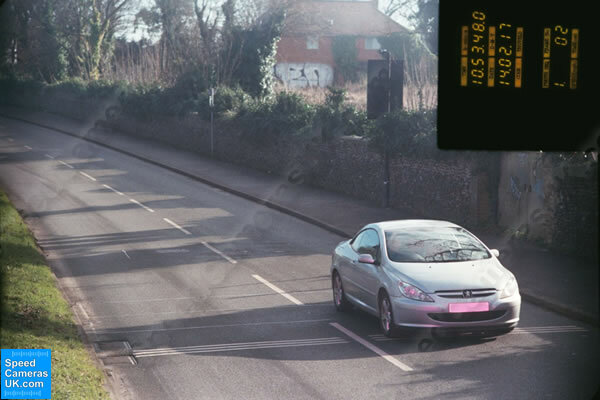 ‣I have just received several photographs of my alleged speeding offence 36mph in a 30 zone. There are very old and barely visible white calibration lines on the road which do not show at all in any of the photos. If my memory is correct then these lines are there to ensure the camera is correctly calibrated. Is this correct? ‣With the forward facing cameras, how do they catch motorbike riders who only have registration plates at the rear? ‣Can a fixed speed cameras be on the opposite side of the road and programmed to catch you? And if so is this common for them to be on the opposite side of the road? ‣Can a fixed speed camera be down literally any road? So even say a 20mph side road or residential street for example or can they only be found on main roads? ‣Are you aware if there are any means by which I can find out when a speed limit changed on a specific stretch of road? ‣I was sent NIP M4 Bristol 85mph over 70mph automatic camera device. Is this legal as I thought only used on motorways when temporary speed limits in place? ‣I have been told that a speed camera can not detect/record the speed if a vehicle is travelling slower than 30mph, I was wondering if this was true or not. ‣If a speed camera is facing the side of your car can it tell if you are speeding? ‣Can a motorcyclist traveling towards a camera be prosecuted, as it's number plate would not be visible to the camera until it passed the camera, by which time the motorcycle would be travelling at well below the speed limit? ‣Why do most speed cameras point at the front of vehicles totally disregarding motorcycles which can do any speed they want, this must be some kind of discrimination against four wheel vehicles? ‣If two vehicles are passing though a speed camera and one is speeding and the other is not speeding and the camera flashes twice how do they know which vehicle is speeding? ‣Are you able to identify these? Two are being installed near sets of traffic lights are they red light and speed cameras? ‣If I was travelling in the left hand lane, doing 30mph in a 40mph zone in a queue of traffic and a car comes up in the right lane speeding past and sets off the camera, how do they know who was speeding, does it record both speeds? ‣Some HADEC3's are being painted yellow on the M25, my question is why are some still not? ‣I have a question regarding how to find out which speed cameras are active. I'm curious as to whether the speed cameras are switched on or not? ‣Can anyone give me a simple yes or no. I was flashed by a camera in Moodisburn, near Glasgow. I was on opposite side of the road travelling towards the camera. There is a central reservation between myself and the camera. The camera is NOT on central reservation. Can I be prosecuted? ‣Where can I found if I been caught by a speed camera? Any website or contact telephone number? ‣I was driving on the A1 going towards Berwick upon Tweed when the GATSO speed Camera in the other direction flashed. I have received a fixed penalty notice. Is this correct? ‣I wanted to ask if a yellow speed camera affects the opposite lane to the lane where the yellow box is by and has markings on. So if I am driving in the opposite lane as oncoming traffic and there is no box positioned next to my lane and nor any speed markings, will the speed box affect my lane? Or only the lane it is next to and has markings on. ‣Does a police Officer have to physically issue you a speeding ticket from a hand held device, or can it be issued by post? ‣The allowance for speeding is 10%. e.g. which would be 66mph on a 60mph. Would an average speed camera zone record this as speeding? ‣Can temporary overhead speed cameras catch you on either side of the road? I was travelling northbound but caught by a southbound camera. ‣A motorbike went through lights before me, speeding. Moments after, the camera flashed as I went through (not speeding). I am concerned that it may be me who is fined despite the fact that it wasn't actually me who was speeding. ‣I just went through a speed camera at 30mph, the speed limit is 40mph, however the camera flashed, is this normal? ‣Are fixed speed cameras e.g. Gatso, always mounted on the the side of the road on which they want to catch the traffic? ‣Do all speed cameras rear face, i.e. they catch vehicles from behind? ‣Do many motorists get caught speeding each year? ‣How many speed cameras are on UK roads? ‣How many different types of speed cameras are currently in use in the UK? ‣How do the different UK speed cameras work? ‣Which UK speed camera has caught the most motorists? Do you have a speed camera related question? Go to our contact page and make your comment or ask your question today. If you would like to read comments from UK motorists relating to speed cameras click here. Learn more the different types of speed cameras such as Gatso, Truvelo, SPECS, Hadecs3 and more via our Speed Camera Guide. Want alerts to speed cameras? Don't know where to start? Want some independent help and advice? 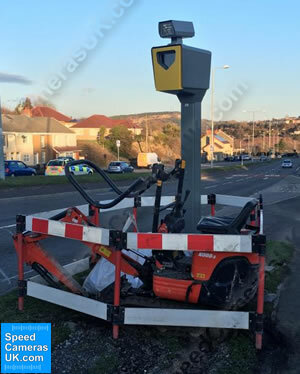 Then view the Speed Camera Detector Buyer's Guide or see our Speed Camera Detector FAQ's. I've been sent a fine sating that I did 52mph on the M62. The paperwork states it was a 40mph speed limit. All the way along the M62 it was 50mph, not once did I see a 40mph limit sign not even over the smart motorway. How can I prove this please? Do you have dash cam footage? It would be very difficult to disprove. Perhaps other motorists have made the same compliant i.e. speed limit shown was 50mph? You will need to take it up with the Police force that issued you with the NIP. I was travelling along the A140 yesterday, there was a marked police car with a passenger with a camera. Can the camera pick up if I was wearing a seatbelt or not? Yes, the police officer could do that easily with CCTV, camera, etc. Did he/she do that, only they know? If you have been caught speeding and/or not wearing a seat belt expect a NIP (Notice of Intended Prosecution) through the post (to the registered keepers address), this is normally within 14 working days. I was travelling through a thirty mile an hour speed limit at twenty mile an hour knowing a camera was there. In the opposite direction a car was speeding which set off the flash. Would the lines prove my low speed? Yes, the speed camera will be able to prove your vehicles speed. I have recently received a notice to say I was speeding on A259 Belle Hill junction with London Road, Bexhill. Could you please tell me when a speed camera was installed? I'm afraid we do not have that information. SpeedCamerasUK.com does not run or install any UK speed cameras. We only list where they are and information about them. The local council and/or police force should be able to confirm the installation date to you. I'm considering buying some reflective spray to obscure my number plate when a speed camera flashes. From my investigation the reflective spray could obscure my number plate at night, but what happens during the day? Do fixed and mobile cameras use a flash during the day? I heard they might us an IR flash, would the spray work? Is it legal? We do not sell the spray, we do not know anything about the spray, so cannot therefore pass comment upon it. All I will say is the Police can be very ingenious in how they find and prosecute a motorist. For example if you use the spray and it is effective in obscuring your number plate. The Police may simply resort to using a CCTV or other traffic camera to find your vehicle before or after the camera location and successfully obtain the index number. You may then face further fines/penalties if the Police deem the spray prevents the camera from obtaining the information that should be freely available from your car and number plate? Is this real? A camera mounted on the roof of speed enforcement van recording/taking pictures while driving up and down the motorway which also works in both directions and catches anyone flashing head lights! Not heard of that one before. But anything is possible. It certainly is an offence to warn other motorists of Police in the road ahead by flashing your headlights. Can you please tell me how I can find out about how many offences and fines a specific fixed camera has made? SpeedCamerasUK.com is not connected with any UK Police or other local authority. We don’t run, install or operate any speed camera - we just list where they are and information about them. I would suggest you make a freedom of information request with the Police authority where the speed camera is located. Does the camera flash if you have been speeding? Yes, if the speed camera in question uses a flash to record and capture the speeding vehicle. Not all speed cameras feature a flash, so in order to answer your question we would need to know what type of speed camera it was. I was just curious about the different types of speed cameras and what their ranges are in terms of distance. So like how far do you have to be from the camera to detect your car. With the cameras with white lines painted, is it where the white lines start? As you can appreciate there are many different types of speed cameras in use on UK roads. Most of these different speed cameras operate in various ways from one another. The detection range can therefore vary and will depend upon a particular camera type. 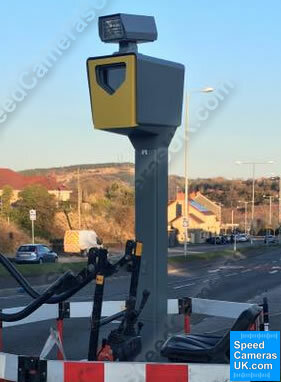 A Gatso speed camera ‘target window‘ is approximately 10metres of road past the camera, while the Truvelo’s ‘target window‘ is approximately 10metres in front of the camera (as pictured below). Other cameras like the VECTOR and SPECS cover many miles of road. Mobile laser guns can target vehicles from a 1km away! If you have been caught speeding, a NIP (Notice of Intended Prosecution) is normally sent out to the vehicles registered keeper within 14 working days. Is it illegal to warn other drivers of speed camera vans ie flashing lights etc? Yes, and the police will warn or even prosecute motorists they catch doing so. I passed one static camera on the left side of the road. 100yards up the road was a static camera on the right side of the road. Then 50yards passed that camera was a mobile camera. Is there anything legal that says about distance between cameras? There are no restrictions to our knowledge, only the cost to the council/police force budget. I have been caught doing 37mph where a 40mph changes to 30mph what is the rule about this I believe the van is pointed exactly where the speed changes... it's Lower Weare in Axbridge Somerset if that helps... it's the third time I've been caught in the same place doing the same speed short of slamming on to get from 40mph to 30mph this is the normal slowing process. When transitioning from one speed limit to another, you need to ensure that are driving at the new lower speed limit in line with the speed limit sign. So in this example you will need to be reducing you speed down from 40mph, ensuring that when you cross the threshold (in line with the speed limit sign) of the new lower speed limit you are driving at 30mph or less. What cameras will detect you using a mobile phone? Currently (June 2017) there are no cameras that detect the use of a mobile phone by a driver. However, a number of cameras, from CCTV to speed cameras will record either static of moving images of the driver. If the driver is pictured using a mobile phone whilst driving, this will be added to any other driving offence(s) that he/she may have committed. I have received a letter saying I was doing 38mph in a 30mph, the camera is a new infrared type. I was apparently caught from behind even though it looks front facing only? It is about 50ft from the junction I turned out of and I find it impossible to believe my speed could of got to 38mph in such a short distance! What are the chances the camera is defective and didn't record this properly? We would suggest that you ask the police for photographic evidence of the speeding offence. All UK speed cameras are calibrated and will have calibration certifies to certify that the camera has been installed and recording vehicle speeds correctly. Yesterday I was driving along and picked up my ecig (which is rather large and phone shaped) whilst driving past a video recording speed camera van. Is the quality of the video high enough for them to recognise what I picked up? Or will they presume it's my phone as it has a screen that lights up and give me points and a fine? We are therefore unable to answer your question. The answer to your question will only be known by the camera operator sat in the van and the Police authority he/she comes under. I have a technical question regarding speed cameras. How does the local constabulary get the data (the photos, information) regarding persons who have been caught speeding by the cameras? Is it transmitted to them in some way (Wi-Fi perhaps) or does someone have to come and download said data from the devices and then take it away for download? Also, what is the average range that the speed cameras work on? It depends on the specific speed camera in question. Some cameras e.g. digital Gatso require a visit to download the data to laptop, some old style still very popular Gatso have wet film that needs taking out and developing, some are connected to a network and information sent in real time e.g. VECTOR and SPECS cameras. Also, what is the average range that the speed cameras work on? Again it depends on the specific camera. Range varies from several miles for VECTOR and SPECS cameras to a few metres for e.g. Gatso and Truvelo cameras. I was travelling along a 30mph road and was under the speed limit but an oncoming vehicle set a speed camera off on my side of the road. If a vehicle triggers the camera off on my side of the road will I automatically get fined? The short answer is no, you will not be automatically fined unless you were speeding. The longer answer is speed cameras record photographic evidence proving which vehicle (if any) was speeding at the time they passed a speed camera location. Painted white lines on the roads surface confirm the speed of a passing vehicle. This acts as a secondary measure to the camera being triggered. Can a speed camera detect whether you are using a mobile phone whilst on the road? While currently (March 2017) none of the speed cameras can detect whether you are using your mobile phone. Many speed cameras are forward facing e.g. Truvelo D-Cam capturing a photo of the driver at the time of a speeding offence. These photos have been known to catch other motoring offences e.g. using a mobile phone while driving. Do you get 3 points if you set a speed camera off? It depends on your speed, the Police policy where the speed camera is sited and whether this is a first speeding offence? For driving a few miles over the speed limit you will more than likely be asked to attend a speed awareness course. Driving at higher speeds over the speed limit may result in you attending court and facing far more points than 3 points. I am keen to see speed cameras in as many towns and villages as possible. I asked for them to be erected in Langford Beds. I was told that they would be too costly as they could not be fitted to lamp posts. When are developments in the technology likely to permit small cameras on lamp posts at a very low cost? You need to ask that question of the speed camera manufacturers. However, what we can say is the cost of installing speed cameras is and has fallen. Could you please explain to me where can I find what two speed cameras have taken in money from motorists passing through my old village? I would recommend you contact the Police authority where the cameras are located to see if you can obtain the information from them. You local councillor and/or MP may also be able to help you? Someone set a speed camera off on my side off the road when I was going under the speed limit, will I get a fine for this? No, not if your vehicle was within the speed limit. I have just received several photographs of my alleged speeding offence 36mph in a 30mph zone. There are very old and barely visible white calibration lines on the road which do not show at all in any of the photos. If my memory is correct then these lines are there to ensure the camera is correctly calibrated. Is this correct? While it does depend upon the speed camera in use, the white painted lines act as a secondary measure to confirm the target vehicles speed. This is true of speed cameras such as fixed Gatso, Truvelo and SpeedCurb cameras, but is not true of cameras such as SPECS and VECTOR where white painted lines are required or used. With the forward facing cameras, how do they catch motorbike riders who only have registration plates at the rear? Along with other forward facing speed cameras, e.g. SPECS, VECTOR, Truvelo and Truvelo D-Cam cameras are unable to record or capture speeding motorcyclists. Can a fixed speed cameras be on the opposite side of the road and programmed to catch you? And if so is this common for them to be on the opposite side of the road? However, it depends on the type of camera and whether it is calibrated to target motorists on the opposite side of the road. If you can send a photo to us of the camera (as it currently appear) and photo of road layout/approach to camera, we'll be able to confirm which lane/side of road is enforced by the speed camera. Can a fixed speed camera be down literally any road? So even say a 20mph side road or residential street for example or can they only be found on main roads? I am a new driver and just wanted to know if I need to be looking out for cameras on all roads or just some. Also do all fixed speed cameras have to be yellow and visible nowadays? Speed cameras can be sited on any and all classes of UK roads. From October 2016 the government has pledged to make ALL speed cameras yellow in colour. To aid your driving you might like to consider buying a speed camera detector, for more information please see Speed Camera Detector Buyer's Guide. Are you aware if there are any means by which I can find out when a speed limit changed on a specific stretch of road? Your local council or authority should be able to confirm this information to you. I was sent NIP M4 Bristol 85mph over 70mph automatic camera device. Is this legal as I thought only used on motorways when temporary speed limits in place? Increasingly, Police forces across the UK are switching these so called motorway 'variable speed cameras' on outside of times when they are not enforcing a lowered variable speed limit of for example 50mph in heavy traffic. Bedfordshire Police chief was the first to suggest their use 24/7 on motorways to enforce the national speed limit of 70mph. I have been told that a speed camera can not detect/record the speed if a vehicle is travelling slower than 30mph, I was wondering if this was true or not. It depends on the speed camera type, and it also depends on the speed threshold that the camera is set to. For example if a road has a 20mph enforced speed limit and is covered by a Gatso speed camera, then that camera could be set to trigger at 24mph. So in answer to your question, the answer is false. If a speed camera is facing the side of your car can it tell if you are speeding? It depends on the type of camera, and then it depends how the camera is calibrated. For example a Gatso speed camera could be sited on the near side or the off side of the road. Depending upon how the Gatso camera is calibrated it could target vehicles on either side of the road, but not both at the same time. Can a motorcyclist traveling towards a camera be prosecuted, as it's number plate would not be visible to the camera until it passed the camera, by which time the motorcycle would be travelling at well below the speed limit? Truvelo speed cameras for instance capture oncoming vehicles. Why do most speed cameras point at the front of vehicles totally disregarding motorcycles which can do any speed they want, this must be some kind of discrimination against four wheel vehicles? Gatso, SpeedCurb and Red Light cameras are among a few cameras that all point at the rear of a vehilcle. However, and depending where in the UK you live/drive there are an increasing number of forward facing cameras namely Truvelo, SPECS and VECTOR. Why? Simply because they also record and capture who was actually driving at the time of an offence. If two vehicles are passing though a speed camera and one is speeding and the other is not speeding and the camera flashes twice how do they know which vehicle is speeding? It will GREATLY depend on the speed camera system, however if for example it was a Gatso speed camera. Gatso speed cameras use two methods to capture and record speeding motorists. 1. The first is via the cameras technology. For example when a motorist/vehicle passes a Gatso speed camera too fast the Gatso's radar technology is triggered to take the necessary photo(s). 2. The second is to use the white markings on the road. The Gatso camera's two photos in quick succession are taken. Using the white markings on the road, the vehicles speed can also be calculated. The captured evidence by the speed camera would prove who was or wasn't speeding. Just regarding the speed camera on your FAQs with the flash unit mounted overhead, that is a REDFLEX dual redlight/speed camera. Redflex camera uses radar technology I believe like HADECS 3. Very clever kit indeed. There is one that monitors the red lights into the Dartford crossing. Read more about Redflex red light and speed cameras. If I was travelling in the left hand lane, doing 30 in a 40 zone in a queue of traffic and a car comes up in the right lane speeding past and sets off the camera, how do they know who was speeding, does it record both speeds? It depends on the speed camera in question, however for most fixed point speed cameras, e.g. Gatso or Truvelo it's down to the lines in the road to provide further evidence of who was actually speeding when passing a speed camera. Some HADEC3's are being painted yellow on the M25, my question is why are some still not? The government announced in November 2015 that ALL grey speed cameras sited on England's motorways and major truck roads will be painted yellow before October 2016. That's the reason why you're seeing some yellow and some that are still grey. I have a question regarding how to find out which speed cameras are active. I'm curious as to whether the speed cameras are switched on or not? While the Snooper 4ZERO Elite BT's radar detector will let you know which Gatso speed cameras are live and working. It is impossible to know whether Truvelo, Truvelo D-Cam, VECTOR, SPECS and many other camera systems are operational or not. This will ONLY be known by the Police/company operator. A freedom of information (FOI) request may yield the information you seek? The black board with orange lights in each corner in the centre of the image is used as a motorway display sign e.g. Fog, 50mph, etc. It is not a speed camera. Can anyone give me a simple yes or no. I was flashed by a camera in Moodisburn, near Glasgow. I was on opposite side of the road travelling towards the camera. There is a central reservation between myself and the camera. The camera is NOT on central reservation. Can I be prosecuted? To give you a yes or no answer, we'd need to see a photo of the speed camera. Some speed cameras like the Truvelo operate forward facing, while others like the Gatso are rear facing to the target/speeding vehicle. Without seeing a photo of the camera and it's set up our answer to you would be 50/50. It is possible for speed cameras to be on the opposite side of the road or carriageway and be calibrated to catch vehicles on the opposite side of the road to the camera location. Some Police forces turn some speed cameras around periodically. Where can I found if I been caught by a speed camera? Any website or contact telephone number? A NIP (Notice of Intended Prosecution) is normally sent out in the post to the vehicles registered keeper within 14 working days of the motoring/speeding offence. This is no website or telephone you can check. I was driving on the A1 going towards Berwick upon Tweed when the GATSO speed Camera in the other direction flashed. I have received a fixed penalty notice. Is this correct? Gatos speed cameras use two methods to capture and record speeding motorists. The first is via the speed cameras technology, which in the case of Gatso is via radar. When a motorist/vehicle passes the camera too fast the speed camera is set off or triggered to take the necessary photo(s). The second is to use the white markings on the road. In the case of a Gatso camera two photos in quick succession are taken. Using the white markings on the road, the vehicles speed can also be calculated. So evidence would be available proving or disproving that you were speeding at the time you passed the Gatso speed camera on the A1 near Berwick-Upon-Tweed. I wanted to ask if a yellow speed camera affects the opposite lane to the lane where the yellow box is by and has markings on. So if I am driving in the opposite lane as oncoming traffic and there is no box positioned next to my lane and nor any speed markings, will the speed box affect my lane? Or only the lane it is next to and has markings on. It all depends on the type of speed camera in use, however in general fixed speed cameras such as Gatso and Truvelo are calibrated for vehicles travelling in ONE direction of travel only. Some of these cameras can be periodically turned to catch motorists travelling in opposite directions, but as a general rule these cameras cannot capture/record speeding vehicles travelling in either direction at the same time. Does a police Officer have to physically issue you a speeding ticket from a hand held device, or can it be issued by post? A police officer could stop speeding motorists and issuea ticket, but more common place these days is that a NIP is sent in the post. It's not feasible and very time consuming for the Police to stop and issue a ticket to every speeding motorist at the roadside. The allowance for speeding is 10%. e.g. which would be 66mph on a 60mph. Would an average speed camera zone record this as speeding? There is evidence that the 10% plus 3mph may have been relaxed to a much lower threshold. We have heard from motorists in recent weeks who have been caught speeding at just a few miles per hour (mph) over the enforced speed limit. In terms of the SPECS camera system you drove through, it all depends on the speed limit that the camera system has been set to enforce from e.g. 53mph in a 50mph enforced zone. This differs from SPECS zone to SPECS zone and different Police authorities. If you have been caught speeding, a NIP (Notice of Intended Prosecution) is normally issued within 14 working days of the motoring offence. Can temporary overhead speed cameras catch you on either side of the road? I was travelling northbound but caught by a southbound camera. Gatso speed cameras and other cameras in overhead gantries normally would only be set to capture speeding motorists in the lane below. However, if a camera is sited on the opposite side of the road, but is configured to catch/capture speeding motorist, then yes it is possible. A motorbike went through lights before me, speeding. Moments after, the camera flashed as I went through (not speeding). I am concerned that it may be me who is fined despite the fact that it wasn't actually me who was speeding. Speed cameras use two methods to capture and record speeding motorists. The first is via the speed cameras technology, which in the case of a Gatso is radar technology. When a motorist/vehicle passes the camera too fast the speed camera is set off or triggered to take the necessary photos, which in the case of a Gatso is two. The second is to use the white markings on the road. In the case of the Gatso two photos in quick succession are taken. Using the white markings on the road, the vehicles speed can also be calculated. So if you were driving within the speed limit, you have absolutely nothing to worry about. I just went through a speed camera at 30mph, the speed limit is 40mph, however the camera flashed, is this normal? No, this is not normal. Normally a speed camera e.g. Gatso will only flash when the speed of the passing vehicle triggers the camera, by driving beyond the threshold of the camera i.e. the speed limit. The speed limit threshold can be set differently for cars versus trucks and lorries. Do all speed cameras rear facing, i.e. they catch vehicles from behind? Speed cameras can be mounted on either side of the road and still capture and record speeding motorists on the opposite side of the road, as long as they are calibrated and set up to do so. Do all speed cameras rear face, i.e. they catch vehicles from behind? ‣Gatso speed cameras are rear facing (taking a photo of the back of vehicle). ‣Truvelo speed cameras are forward facing (taking a photo of the front of the vehicle including the driver). Read more about the different UK speed cameras. Do many motorists get caught speeding each year? The number of fixed penalty fines issued in England and Wales has risen seven-fold from around 260,000 in 2000-2001 to 1.8 million in 2003-2004. Speed cameras are reportedly currently netting more than £20m a year profits for the Treasury. Motorists caught by the cameras have three points added to their licence and pay a £100 fixed penalty. How many speed cameras are on UK roads? The number of speed cameras has now reached about 6,000 across the country, 2,500 of them being mobile speed cameras. How many different types of speed cameras are currently in use in the UK? Currently there are nine different speed camera types that are in use by the Police and local government to enforce speed limits on the UK road network. Speed cameras in use are Gatso, Truvelo, SPECS, Peek, SpeedCurb, Watchman, Traffic Light, DS2 and Mobile. To read more about a specific speed camera see Camera Types. How do the different UK speed cameras work? There are three main methods that UK speed cameras use to detect a speeding motorist. The first method used by Gatso and mobile cameras is to send a Laser or Radar beam at the passing vehicle. The beam is then returned back to the speed camera equipment, providing an exact speed. The second method used by Truvelo and DS2 is too use loops in the road, if the passing vehicle drives too fast over the loops, the speed camera is triggered. The third method used by SPECS is to take a photograph of all passing vehicles at point 'a', then several hundred metres along the road at point 'b' a second photograph is taken. Both photographs are date and time stamped, the speed camera equipment then calculates your average speed. 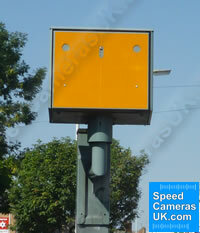 To read more about a specific speed camera see Speed Camera Types. Which UK speed camera has caught the most motorists? A single speed camera in Nottinghamshire has caught almost 76,000 motorists in five years. The SPECS speed camera, on the A610, has caught almost a third of the speeding drivers in the county and has resulted in £4.2m in fines. The SPECS "time-over-distance" cameras measures how long it takes to pass between two points on a road, read read more about SPECS speed cameras.